This location should use this platform for all the other locations on how to take care of there customers!!! This was a super nice pick up truck with great A/C and convenient features like an extra step plate in the back and a built in cup holder in the cab. Always an amazing experience. They are amazing. Tony & Jen are always helpful and always trying to help you get what you need!!! I have been with Staxup Menifee for a very long time. Tony the (Manager) Helps me with my door my lock he tends to my needs every time I come. He greats me with a smile has never said I can't help. I just love this place it is like family here his wife Jenn who also is there to help me. five stars are not enough for them. They changed the web site to pay, now all of a sudden I no longer exist. I live 500 miles away and cant even get somebody to answer the phone to pay over the phone. Sends you to costumer service and their response is we will notify the office, no response. Needed U-Haul 2 times this week, then needed a storage unit after we got to moving. Tony, Nicolas, Marc All 3 guys were awesome to work with and made my move as good as moving could be. I asked for what I needed (p/u and dolly) and was guaranteed it for pick up on the day and at the time I requested. Very professional and courteous staff. Adding this to a good experience which has been very few and far between since our move here. Thank you to those who went out of their way. Very much appreciated!!! I have been renting UHaul trucks and trailers for 50 years and the service I received at this location was the best ever. This guy should train all of the people working in the UHaul locations. Yes, he was that good. When I get my next business up and running, I will hire him. Bit of a wait to pick up my trailer. The facility is a Stax Up storage facility as well. The employee was working as fast as he could but there were several people waiting to pick up trucks/trailers. He should have had help. He was literally running back and forth to provide timely service. The wait was not due to a lack of effort on his part. Tony and wife are professional and always helpful. Could not expect more. They bend over backwards to help. They always treat me with respect and courtesy. These two are top notch manager. Rent all the time from Menifee Haun Rd. Great experience, super helpful, attitude is everything & ya'll have it. See ya soon! Very friendly and helpful! Facility is very clean and easily accessible. Easy to get a unit by reserving it online. GREAT customer service! I highly recommend anyone considering a move & in need of a U-Haul truck or car hauler dolly to give Jenn & Tom at STAXup in Menifee a try. I rented a 26' truck with a car dolly for a long distance move & they were very helpful in making my move less stressful. I they got me the best rates possible & the truck was ready for pickup when they arrived! Thank you Jenn & Tom! I don't like the price going up year after year. Excellent, fast, and easy service! I was amazed at how friendly the staff were and at how clean the place was. I used the online booking option and checked in online as well. We rentedva small pickup truck. No ridiculous fees. It took maybe 10 minutes for the whole process altogether and that's because there were two people in front of me. Check-in for the truck took even less time. I'll never go to a different location again. This was the best price in town we were in and out very fast with the unit and the Uhaul Tony was very good at helping us. 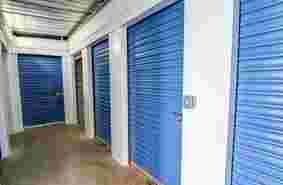 If you need storage I would come to StaxUP Menifee. This place has been the best self storage ever in and out so fast. Thank you for the great service. Great Team working for excellent First impression. David and Austin 2 Thumbs up. My stay at Stax Up Storage was awesome, the staff was very courteous and always contacted me when fees were due. Just simply a great stay here. Tony, wife and others who work there are very helpful and fast at their duties. Professional and friendly. Tony and the team run the facility seemingly flawless. Thank you Tony and Jenn for all the help you gave today best customer service I have had in a long time. Customer service above & beyond. Thank you! Chris was so great with his hospitality and friendliness and cheerful service. He was very fast and helpful and just an awesome customer service rep. Keep up the awesomeness! They all were fantastic while we were renting. The space was a clean area and properly gated and guarded. No problems, thanks. My family and I thank you. We rented for 2 1/2 months. Very busy office but I was in and out pretty quick. The price was better then other places I looked. In and out very fast storage and a truck 5 min max thanks you guys rock. The office is pretty busy but the two guys that are working there took care of everyone fast. 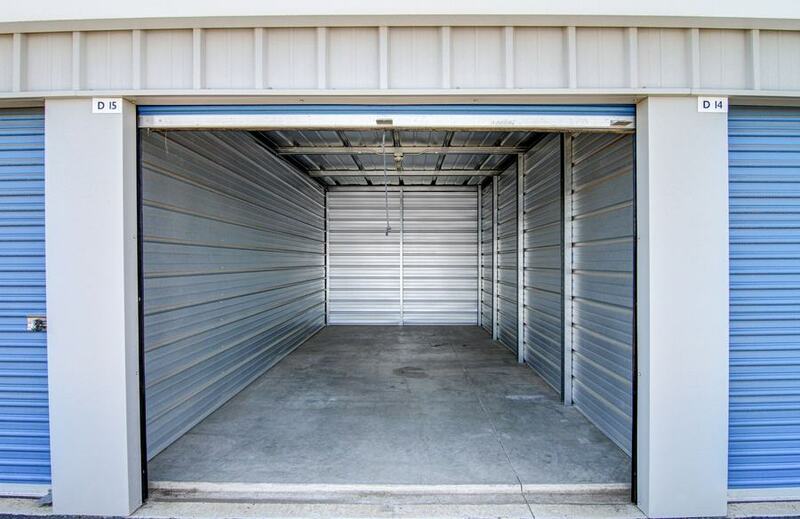 The price was good and I have never used a UHaul or storage this clean. Tony the manager has the best customer service in town. 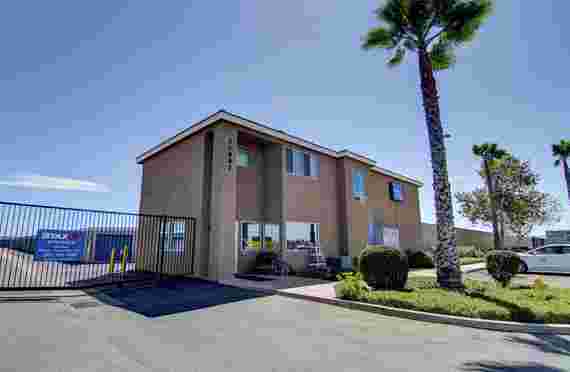 I went to several storage places before I rented at Staxup Menifee. He truly cares for his customer's and he shows it in his service. The office was busy but he was able to help 10 customers in less time then it took to drive over. I appreciate the professionalism from the Stax team! They all showed they care about each and every customer and will go the extra mile to accomodate reasonable changes or last minute request as best as possible. Kudos to Toni and his team! Went to All Star on a reservation to find out they did not have are unit. Went to StaxUp Menifee they took us in gave us a great deal such a blessing. Always come in to nice people at the counter. Very happy with their service. I have worked with this storage several times. I keep coming back because they treat you really way. I highly recommend them. Rick was very very helpful, polite, all around pleasure. Forest is a very hard worker and a gentleman. He's doing a great job keeping things rolling professionally. Thank you for getting us taken care of and calling me to remind me it was time to come in and get my storage set up. I almost forgot! Great customer service! It's the reason I keep using this location! Came in this weekend and was very pleased with the two guys that were working in the office. They were very helpful. This is a top notch storage facility.I have had the pleasure of using them several times now.The staff is always willing to help with a smile.They carry everything you need in one spot from truck rentals to supplies.They have now added a self help computer that I can make my payment if the office is busy.I am always ment with a friendly smile even if it is super busy.The grounds are super clean.They are always on top of things and I could not be happier with my overall experience.I will be a repeat customer for sure.Tony and Jenn are so professional but still make you feel your not just a unit.If you want a one stop facility with everything Stax-Up Menifee is the place to go.Thank you staff for taking care of me. Wow this store just keeps getting better! They now have a self help center I was able to pay my bill with out having to wait in line I even rented another storage unit. Thank you for all of the customer service you guys provide to Us tenants. Keep giving the great service you are giving now. Easy. Friendly. Quick. In and out. The individual at the counter was very helpful and polite. While he was the only individual working at this location on a busy Sunday morning he ensured all customers were helped is a quick manner. Very friendly staff, willing to help. Very accommodating despite the fact it is a very busy location. It may not be the most cost-effective but I recommend an additional staff member during peak times. Let me be clear though. Despite having to wait a few minutes to rent and return the truck, when I was being helped, I felt important and like my needs were addressed. I can see the potential that walk-in customers might leave before being helped because of the busyness and potential to have to wait for assistance. Thank you for an overall good experience. I have already recommended this location to friends. My Comment is about what a great job they all did in helping me with my Uhaul Truck and auto transport. First Mark went above and beyond helping me. The day before I came in had it all ready for me so all I had to do is put the car on the transport and drive away. This would save me a lot of time and on the road. The next day the two people also helped me get the car on the transport and watched and helped me make sure I was doing it correctly. Returning was great easy drop off and early check in. I have never seen this kind of customer service before. Excellent job guys more that 110%. Best customer service in town thank you so much. Mark was great! Top notch customer service. I like these folks down at the Menifee location. Not just good sevice, but really decent people. I can see the light. 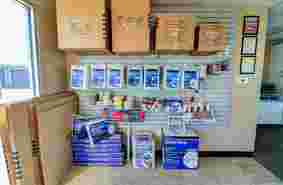 StaxUP Menifee is a great place for storage along with truck rentals, Customer service is out standing. Tony and Jennifer at this location are the most helpful Storage U-Haul people I have ever met. Very kind and helpful. I wouldn't change a thing. Zach was super helpful, friendly, and efficient. He loaded the dolly for me with out hesitation. Upon return Mark was friendly, kind, and warm. How refreshing to have the "customer" back in customer service. Will always return for future rental needs. Awesome customer service from Mark. Great job; very convenient and staff was helpful and friendly. Selection and availability was great too! Thanks! The staff was friendly & very efficient. Great customer service. A good rental value. Thanks for the great service as always. So helpful and informative!. Great job and outstanding service from both locations and customer support! Thank you! Great to work with and made the entire experience a pleasant one! 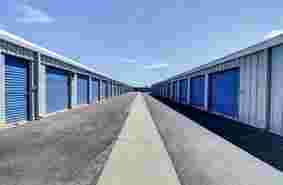 Went to five deferent self storage company's this store was outstanding cleaner units and grounds by far then most. Went out of there way to make sure we got all the information we needed to do are move. The time they took was short for the rental of the storage and the truck. Tony and Jennifer the managers are a asset to your company. Best customer service we have ever had with a self storage company ever!!!!! They did a good job with what I needed! The staff was great to work with and made the entire experience a pleasant one! You can always count on good customer service here always going out of there way to help customers. The customer service at this location is outstanding keep up the good work. Very accommodating and helpful. Would rent from them again. Best self storage and Uhaul in town. Wow StaxUP Menifee is great in and out very fast thank you. The store is very clean and the service is top notch. The employee who checked me out was extremely friendly and helpful. He answered all of my questions, with some added humor and had me in and out in an acceptable amount of time. Staff is awesome & promt.Well didecated to U Haul company. Deserve a raise,thank you. Staff was very nice & I was happy to do business with you. This location was well organized and maintained, the personnel very nice and helpful.....great job!!! Great location. Very clean and a big store. Staff was very friendly and helpful. They were patients helpful professional and it work out very well for me. Servicio al cliente es el mejor que he recibido en los últimos 10 años. Siempre atento con los clientes con gran actitud, incluso si no hay beneficio directo en el mismo. Muy contento y continuare como cliente. Customer service is very good keep up the good work. I love this store you can come in and be out in less then 10 min. The StaxUP storage ,Uhaul make a great place if your in a bind. Came in had a truck and a storage and I was done in less then 15 min. Best service I have ever had at a self storage,Clean unit customer service was amazing. Very very good customer service. Very nice people and great customer service. Staxup storage is very clean, customer service is fantastic! I went to this store after going to Allstar the customer service is way better. Customer service at this location is very good. Super service in and out very fast. Thank you for your thoughtful service. Everything you said would be available for storage was and I had a receipt for the use of the truck and throw the next day as promised. No worry moving!! Thank you. Great experience. Fast, friendly, everything ready as ordered on line. Made a few changes upon arrival which were easily accommodated, and the bill was exactly what I was told it would be!! Third truck rental...great service each time. Always courteous and helpful. F.R. The Uhaul and storage are great one stop shop. The service at this location is very good. The staxUp Uhaul store is very good I will defiantly recommend this location to all my friend's. The store was very clean, The staff is very friendly and fast. StaxUp is great in and very fast great service. Love this store staff is always on there A game. Keep up the grate work!!!!!!! The best store in the valley. Had a U haul truck no reservation and your office was super about having storage for me in and out of office in ten min. StaxUP Rocks!!! Second time at Staxup Menifee they are very good. Customer service was great keep up the good work. Your Online service is great I got my reservation in, you guys called and made my day. Thank you so much. Thank you for making my move very easy. Wonderful office & personnel. Always nice and friendly no matter what! Refreshing to see hustle Tony and Jen are very good at what they do. This was the best place in town hands down. Excellent Service! Love these people! Refreshing to see hustle. Mark was very impressive!!! This self storage place does it right, I called on the phone after making my reservation. The manager Tony was outstanding. I asked to have the paper work ready for me before I got there. It was I was in and out in five minutes this was the best customer service I have ever had at any self storage company. Thank you Steve P.
5 Stars!! All the time, Every time!! Is a pleasure to store here. Staff is always courteous and happy to help. A pleasure to deal with all! very helpful and patient while we decided what size and how long. I have been a client here for over a year and have had exceptional service since the begining. Dropped off truck after one-way rental. Representative (Jennifer) was already out the door to meet me in the parking lot, and I didn't even call ahead. She was very courteous and helpful with my questions and paperwork was completed quickly. Highly recommend this location. Excellent customer service. Thank you Jennifer for your help! Tony, Jenn and the rest of the team at StaxUp are top of the line. They are friendly and courteous. I was in need of a last minute U-Haul rental for a move. Where other locations just informed me there was no availability, Jenn went over and beyond to find a trailer for me. It is great to have such personal and caring service. Kudos to the team at StaxUp. Tony went over and beyond to help us this morning. We were given the wrong information about renting a van to haul an RV from a girl over the phone and helped solve the problem. We were in a pickle and Tony was super patient, informative and helped us reserve a truck in Moreno Valley. Its rare to find customer service like this these days. Also his office was very clean and smelled fresh. Thanks Tony. Great place to store your stuff and awesome customer service. 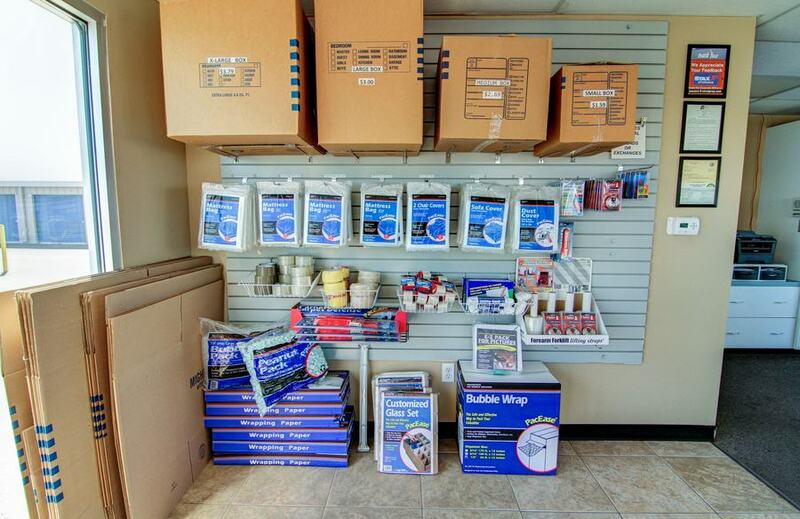 One stop shop for moving supplies and U-Haul equipment. Can't go wrong. Jenn has the greatest! & most pleasant personality & hospitality!. Very helpful, caring & friendly. I will always come back to rent from this Stax U-Haul & if anyone is looking to rent from a stress free company with such welcoming hospitality & attitude free this will be the place because besides Jenn, her husband & all the other staff members make you feel right at home. The staff at stax up is very helpful! My wife and I had a wonderful experience here. Jennifer and Tony are amazing. They were so helpful assisting us with our move and the exit from our unit. We had a storage unit at this location for over 2 years and it was a clean well kept property with nice people. I highly recommend Stax Up storage on Holland in Menifee for both storage and UHaul. Have been with Staxup Menifee for a very long time. Tony the (Manager) Helps me with my door my lock he tends to my needs every time I come. He greats me with a smile has never said I can't help. I just love this place it is like family here his wife Jenn who also is there to help me. five stars are not enough for them. 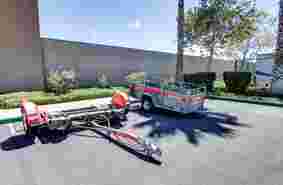 They are the best uhaul rental in Menifee and the surrounding area. If you go any where else you've made a mistake. There vehicles are always clean and ready to go.......they get my 5 star rating because they are the BEST! Tony and Jen are ROCKSTARS!! Tony did a great job with assisting me and was very polite and respectful! Very great service!! Thank you! I have had a storage unit here for about a year and had to downsize. The office staff are very friendly and professional everything went as planned. I highly recommend Stax Up in Menifee. Wow in and out so fast. Prices are very good for this location Tony and Jenn the Mangers are very good at what they do. Great experience! Tony is a great guy and very helpful. Jen works hard to keep things moving for me. I like this place. I LOVE the family that owns and operates this storage place. I've rented u-hauls from them. I also regularly buy boxes and packing materials from them to ship art that I paint and sell. Their prices are great and they make you feel like family. Very honest and trustworthy! And nice to do business with. They were very helpful. The place is clean and in a good location. Was helping a friend store some things before she left for college. Great place if you need to store some stuff. Security looked good and it was clean. My wife and I have some business here for many years and will continue to do so. We are happy with the service they provide. Jennifer and tony were more than helpful. Had to get a uhaul as soon as possible because I had to be out of my home and I was super stressed out because nothing was available. But they got on the phones for me and made it happen. Thank you guys and I appreciate it. This is our go to place for everything we need, from trucks to trailers to storing things for a mo the or two. The staff is super friendly and helpful. We will continue to return. Best place to rent a U-haul! Good service and the trucks have always been clean and in good condition. I have been with this Storage facility for over 10 years! The reason I stay is for the amazing service I always receive from the managers. They know me personally and are always ready to help us during a move or renting a truck etc. I like the value we have with the unit we rent! One of the reasons we stay is because they don't raise the rent all the time like others we've utilized in the past! Great Staff, great value! Highly recommended! Great service. Hands down the best experience I have ever had in renting out a storage unit. Easy access in and out with no traffic or complications.Tony and Jenn were amazing in every aspect and polite. I'm very happy with the outcome. First and foremost just want to say that tony and Jenn are very professional and have accommodated me in every aspect. They don't procrastinate and always put in 100 percent in getting the job done. I own my own moving company and needed a storage, I called around and prices were way out of my budget, so I called stax up and Tony and Jenn gave me a great price and they helped me right away and I now have a storage unit with them and has facilitated things for my business. They also get me uhauls with no troubles. There other staff are great as well. Definitely amazing prices and staff. I have done business with this location for years and I am always treated well. Highly recommend them! Great service, same day service. The storage locker was clean and I appreciated the help I got. Thank you for being so nice. I will recommend this storage. Nick and Tony are awesome. Great service and prices. We will definitely use them in the future. Our facility is located in the heart of Menifee Valley and serves the Sun City, Perris, Murrieta, Wildomar, Winchester, and Temecula areas. We are just one mile south of Newport Road on the corner of Haun and Holland Roads. Heading south from Newport Road, you will pass the Menifee Market Place on your left, and we will be a short half mile drive from there. 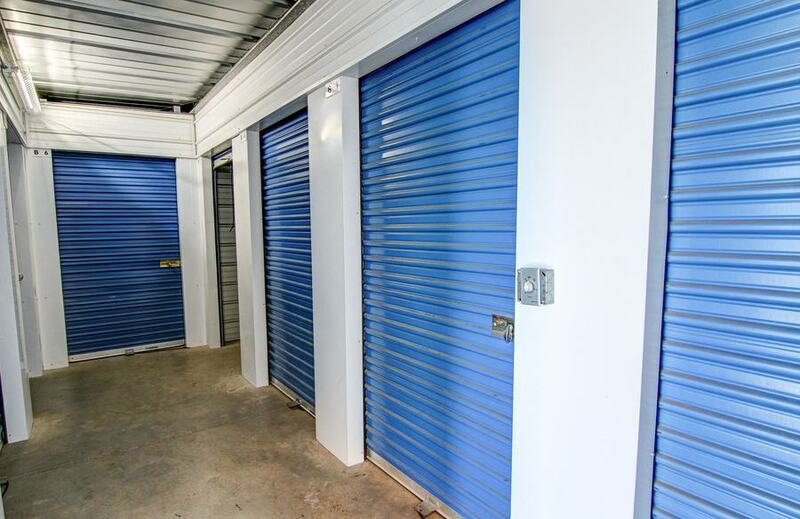 Shopping for self storage? Look no further! 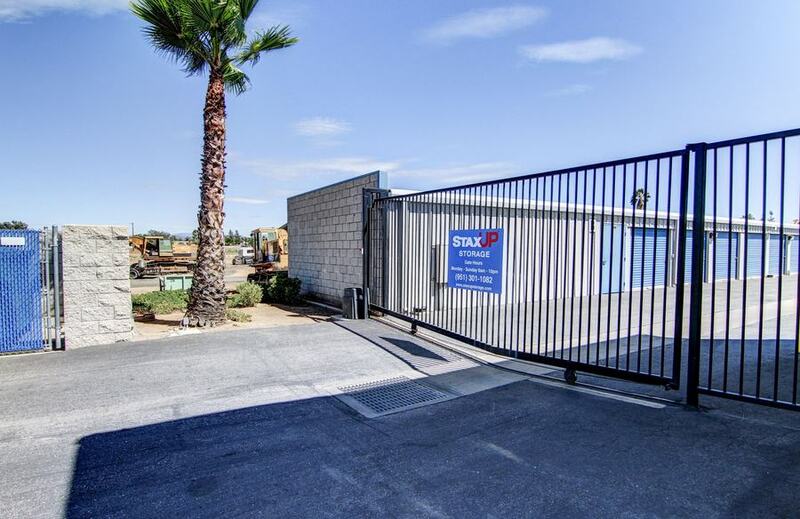 At StaxUP Storage – Menifee you will find your one-stop shop. We not only offer great rates on our units, but we also have U-Haul truck and trailer rentals and a wide selection of moving supplies. There’s no need to go from place to place getting ready for your move. With StaxUP Storage – Menifee our knowledgeable and helpful team members will assist you with getting set up with a unit, moving equipment, and boxes in one convenient location. Our facility features include drive-up accessible units, 24-hour video cameras, and individual door alarms. 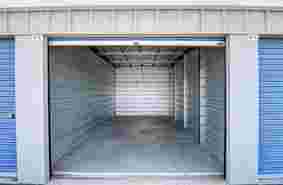 We also have roll up doors and large aisles for ease of movement. Renting a storage unit has never been easier than at StaxUP Storage – Menifee, where you will be helped by the storage industry leaders in excellent customer service. Call today to reserve your unit! SELF STORAGE MILESTONE: HAPPY ANNIVERSARY TO TONY ALLEN! Here at StaxUP Storage, we know our success is due to our wonderful team. The care they give our renters is unparalleled and we want to highlight their milestones along the way. Below is an interview with team member Tony Allen, who is celebrating his anniversary with StaxUP Storage. Tony is the Professional Self Storage Manager at StaxUP Storage in Menifee, California. Colby: Let me confirm this is your second consecutive year being a full time employee, how long have you worked for the company in general? Tony: Let’s see, so in general I started in July of 2001. Colby: Okay and you said you were working at the sheriff’s office at one time? Tony: Yeah, Don let me go and have some fun for a little while and then come back. Tony: It was definitely a good learning experience and I am glad I got the chance to do it and that’s all because Don let it happen. Colby: Cool, so you are back at doing self storage full time. Can you tell me a little bit about what drew you to self storage? Tony: Yeah, Jennifer and I started in the industry in high school. Colby: Oh yeah, so you’ve been at it a while now. Tony: Yep, we both started part time in high school on the weekends at two different self storage companies back in 1994. When we graduated high school we both went to college but continued to work in self storage. When my second child was born we moved out to Menifee and we have been here ever since July of 2001. Colby: Gotcha, and you guys run that location as a couple now right? Tony: Yeah, we were district managers and now we are just managers. Colby: What would you tell someone who was applying to work in self storage for the very first time? What have you learned over the years at the job? Tony: I’ve learned that if you are always standing with a smile when a customer walks in they are going to rent a unit. Colby: Okay, just appearing at the ready and friendly and ready to go? Tony: Yeah if you’re standing with a nice smile and you welcome them when they walk in. That first impression of you standing and ready to help them is really important. Colby: I think that is really good advice. I bet that works in more than just the storage industry too. Tony: Oh, I am sure it would work anywhere you go. Colby: Do you have any stories that stand out in your mind of maybe a positive experience or something interesting that might have happened in all the time you’ve been working there? Tony: Yeah, I got a good one. It was in 2003 and we had someone break in and the alarm was going off at about 3 o’clock in the morning. So, I went out there and the door was kind of cracked and I heard noise in there, so I shut it and locked it. Sure, enough there was someone inside who had broken in. Colby: Oh, so you locked him in? Tony: Right! I locked him in there. So, I called the sheriff’s office and waited, and it actually turned into a training exercise at the sheriff’s office. I think that’s the time I was like, this is pretty cool I might want to become a sheriff. Colby: Oh, so that’s how they gotcha? Tony: Well, I was involved. I had my firearm, and I asked the deputy, “Should I put this away?” He said, “No please just watch my back until backup arrives.” Like I said it became a training exercise because we had about five sergeants and then about ten, and they now train how to physically remove someone from a storage unit as safely as possible. So, yeah that was a fun time. Colby: Yeah, that is pretty wild actually. Tony: Yeah it is a fun story. Colby: So, let’s step away from the storage world just a moment here. Tell me a little about you, what are some of your hobbies, what keeps you busy when you aren’t working? Tony: Well, we own a 15-acre ranch. When I am not working here I am usually working there. I have gardens and trees, but I don’t have any animals. I have a lot of things growing and I tend to that. I also own a weed abatement, so I will sometimes be doing that on the weekend. Colby: Cool, so what are some of the things you grow out there at the ranch? Tony: I have apple orchards, and peaches as well. I have basic vegetable garden like lettuce and tomatoes. Colby: It always tastes a little better when you grow it fresh instead of getting it at the store. Tony: If we aren’t doing that we go to Glamis and go to the dunes. Colby: Oh, that sounds like fun. So, you’re at Menifee now. Is there anything interesting going on around town right now that has people talking? Tony: The Scott Road expansion. A lot of people are waiting for that chaos to happen. People will be passing us a lot more than they were. Colby: I know that you are growing a lot of good food down there at the ranch, but can you give me any restaurant recommendations? Any good local spots around the facility you recommend checking out? Tony: There is a place called Giovanni’s, it’s a really good Italian pasta, pizza, and all that. Colby: Last question, is there anybody that you would like to give a shout out to that has helped you along in the time you’ve been there? Tony: Well, you know that Don has been my inspiration and my life coach I would say. He has been a great mentor.